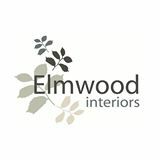 We were very proud to see Paul and his team of Elmwood Interiors on DIY SOS. Here’s what fellow DBC member Pete Nyland had to say..“When I saw Paul on BBC DIY SOS: The Big Build helping the team with a project in Sunderland I was encouraged to write this report. A small company giving their time and products freely are the type of business I would always want to give my business to”..